Video Game berdasarkan film legendaris ini dibuat oleh pengembang terkemuka Electronic Art, dengan elemen gameplay dari game asli tetap dipertahankan untuk sequel ini. Mengambil setting waktu pada akhir 1950-an dengan lokasi di tiga kota, Havana, New York City, dan Miami. Disini Aldo Trapani, karakter pemain pada game pertama akan ditampilkan singkat sebagai bos dari karakter utama. Salah satu fitur yang ditambahkan adalah kontorl ”Black Hand 2.0”, dimana pemain dapat mencengkeram, menendang dan menyundul musuh. Keunggulan lain game ini juga akan memfiturkan “Don’s View”, sebuah sudut pandang strategis di dunia game dimana pemain dapat memerintahkan anggota keluarga untuk melindungi atau mengembangkan daerah teritorialnya. The Xbox was Microsoft’s first product that ventured into the video game console market, after having collaborated with Sega in porting Windows CE to the Dreamcast console. The Xbox first edition was initially developed by a small Microsoft team, that included game developer Seamus Blackley. Microsoft repeatedly delayed the console, which was revealed at the end of 1999 following interviews of then-Microsoft CEO Bill Gates. Gates stated that a gaming/multimedia device was essential for multimedia convergence in the new times, confirmed by Microsoft with a press release. A certain amount of excitement surrounded the announcement of Xbox. When Bill Gates unveiled it at the Game Developers Conference in 2000, audiences were dazzled by the console’s amazing technology. At the time that Gates made the announcement, Sega’s Dreamcast was diminishing and Sony’s PlayStation 2 was just hitting the streets in Japan. Microsoft made a few crucial errors at the launch of Xbox, most notably in its efforts to impress Japanese consumers. Seeing the importance of a good showing in Japan, Microsoft went hard after the Japanese market, delaying its European launch. Europe was unquestionably the more receptive market. Two of the original members of the Xbox team, Seamus Blackley and Kevin Bachus, left the company early on. The other founding members, Otto Berkes and Ted Hase, are still with Microsoft, but no longer working on the Xbox project. But Microsoft has also made some brilliant moves. In preparation for its launch, Microsoft acquired Bungie and used Halo: Combat Evolved as its launch title. At the time, Goldeneye 007, for Nintendo 64, had been one of the very few hit FPS games to appear on a console, some of other ones being Perfect Dark and Medal of Honor. The Bungie acquisition proved itself, giving Microsoft a good application to drive its sales. In 2002, Xbox reached one milestone that few people would have predicted when Microsoft overtook Nintendo to capture the second place slot in consoles sold in North America. Notable launch games for the console included Dead or Alive 3, Amped: Freestyle Snowboarding, Halo: Combat Evolved, Fuzion Frenzy and Project Gotham Racing. Nvidia ceased production of the Xbox’s GPU in August 2005, which marked the end of Xbox production and the quick release of the Xbox 360 on November 22, 2005. The Xbox 360 enhances memory, audio, graphics, and gameplay as well as storage. When equipped with a removable hard drive add-on, the Xbox 360 supports a limited number of the Xbox’s game library through emulation. Emulation adds support for anti-aliasing as well as upscaling of the still standard definition image. These emulators are periodically updated to add compatibility for older games and are available for free through Xbox Live or as a file download to be burned to a DVD-R from the Xbox web site. These updates are also available monthly as part of the demo disc that comes with each issue of Official Xbox Magazine. As the architectures are entirely different between Xbox and Xbox 360, software emulation is the only viable option for compatibility without including processors from the original Xbox. The Xbox was the first major console to incorporate a hard disk drive, used primarily for storing game saves compressed in ZIP archives and content downloaded from Xbox Live. This eliminated the need for separate memory cards (although some older consoles, such as the TurboGrafx-CD, Sega CD and Sega Saturn had featured built-in battery backup memory prior to 2007). An Xbox user could rip music from standard audio CDs to the hard drive, and these songs were used for the custom soundtracks in some games. The Xbox was the first product in the gaming industry to feature Dolby Interactive Content-Encoding Technology, which allows real-time Dolby Digital encoding in game consoles. Previous game consoles could only utilize Dolby Digital 5.1 during non-interactive “cut scene” playback. The Xbox is based on commodity PC hardware and is much larger and heavier than its contemporaries. This is largely due to a bulky tray-loading DVD-ROM drive and the standard-size 3.5 inch hard drive. However, the Xbox has also pioneered safety features, such as breakaway cables for the controllers to prevent the console from being pulled from the surface on which it resides. The original game controller design, which was particularly large, was similarly often criticized since it was ill-suited to those with small hands and caused cramping in the hands of some users. In response to these criticisms, a smaller controller was introduced for the Japanese Xbox launch. This Japanese controller (which was briefly imported by even mainstream video game store chains such as GameStop) was subsequently released in other markets as the “Xbox Controller S”. In addition, all future Xbox consoles were shipped with a “Controller S”, while the original controller (known as Controller “0” or “The Duke”) was discontinued. Several internal hardware revisions have been made in an ongoing battle to discourage modding (hackers continually updated modchip designs in an attempt to defeat them), to cut manufacturing costs, and to provide a more reliable DVD-ROM drive (some of the early units’ drives gave Disc Reading Errors due to the unreliable Thomson DVD-ROM drives used). Later generations of Xbox units that used the Thomson TGM-600 DVD-ROM drives and the Philips VAD6011 DVD-ROM drives were still vulnerable to failure that rendered the consoles either unable to read newer discs or caused them to halt the console with an error code usually indicating a PIO/DMA identification failure, respectively. These units would not be covered under the extended warranty. In 2002, Microsoft and Nvidia entered arbitration over a dispute on the pricing of Nvidia’s chips for the Xbox. Nvidia’s filing with the SEC indicated that Microsoft was seeking a US$13 million discount on shipments for NVIDIA’s fiscal year 2002. Additionally, Microsoft alleged violations of the agreement the two companies entered, sought reduced chipset pricing, and sought to ensure that Nvidia fulfill Microsoft’s chipset orders without limits on quantity. The matter was settled on February 6, 2003, and no terms of the settlement were released. Launch-era Xbox gaming units were manufactured in Hungary, while the controllers were manufactured primarily in Indonesia. * CPU: 32-bit 733 MHz Custom Intel Coppermine-based processor in a Micro-PGA2 package. 180 nm process. o SSE floating point SIMD. Four single-precision floating point numbers per clock cycle. * GPU and system chipset: 233 MHz “NV2A” ASIC. Co-developed by Microsoft and Nvidia. + Peak triangle performance (32pixel divided from filrate): 29,125,000 32-pixel triangles/s raw or w. 2 textures and lit. o 8 or 10 GB, 3.5 in, 5,400 RPM hard disk. Formatted to 8 GB. FATX file system. o Optional 8 MB memory card for saved game file transfer. The original Duke controller (left) and the Controller S (right). The Xbox controller features two analog sticks, a pressure sensitive directional pad, two analog triggers, a Back button, a Start button, two accessory slots and six 8-bit analog action buttons (A/Green, B/Red, X/Blue, Y/Yellow, and Black and White buttons.) The standard Xbox controller (also known as the “Duke” controller) was originally the Xbox controller for all territories except Japan. The Duke controller has been criticized for being relatively large and bulky compared to other video game controllers (it was awarded “Blunder of the Year” by Game Informer in 2001 and a Guinness World Record for the biggest controller in Guinness World Records Gamer’s Edition 2008). The Controller S, a smaller, lighter Xbox controller was originally the standard Xbox controller only in Japan (codenamed “Akebono”). It was designed to be more comfortable for those with smaller hands. The Controller S was released in other territories by popular demand, and eventually replaced the standard controller in the Xbox’s retail package, with the larger original controller available as an accessory. An 8 MB removable solid state memory card can be plugged into the controllers, onto which game saves can either be copied from the hard drive when in the Xbox dashboard’s memory manager or saved during a game. Most Xbox games can be copied to the memory unit and to another console but some Xbox saves are digitally signed, each console has a unique signing key, and some games (e.g., Ninja Gaiden and Dead or Alive Xtreme Beach Volleyball) will not load saved games signed by a different Xbox, limiting the utility of the memory card. Additionally, game saves can be tagged as uncopyable, or simply padded to over 8 MB (Star Wars: Knights of the Old Republic). The signing mechanism has been reverse-engineered by the Xbox hacking community, who have developed tools to modify savegames to work in a different console, though the signing key of the recipient Xbox (the ‘HDkey’), and the ramped-up title key of the game (the ‘authkey’), must be known. It is also possible to save an Xbox Live account on a memory unit, to simplify its use on more than one Xbox. The Xbox includes a standard AV cable which provides composite video and monaural or stereo audio to TVs equipped with RCA inputs. European include an RCA jack to SCART converter block in addition to the cable. All Xbox consoles include a standard Ethernet cable (RJ-45 connection) for connecting to the internet for accessing Xbox Live. The Xbox runs a custom operating system which was once believed to be a modified version of the Windows 2000 kernel. It exposes APIs similar to APIs found in Microsoft Windows, such as DirectX 8.1. The user interface for the Xbox is called the Xbox Dashboard. It features a media player that can be used to play music CDs, rip CD’s to the Xbox’s built in hard drive, and play music that has been ripped to the hard drive. The Xbox Dashboard also has a memory management feature that lets users manage game saves, music, and downloaded content from Xbox LIVE. In addition, the Xbox Dashboard allows Xbox LIVE users sign in, and manage their account. The Xbox Dashboard is only available when the user is not watching a movie or playing a game. The Xbox Dashboard uses many shades of green and black for the user interface, in order to be consistent with the Xbox’s color scheme. When the Xbox was released in 2001, the LIVE service wasn’t released yet, so LIVE services could not be used. Xbox LIVE was released in 2002, but in order to access it, the user would need to purchase the Xbox LIVE starter kit which includes a headset, a subscription, and the necessary software for the Xbox Dashboard. Throughout its history, the Xbox Dashboard has been updated via Xbox LIVE several times in order to reduce cheating and add new features. The Xbox launched in North America on November 15, 2001. The greatest success of the Xbox’s launch games was Halo: Combat Evolved which was well received by critics. Its sequel, Halo 2, is the best-selling first-generation Xbox game worldwide. Other successful launch titles included NFL Fever 2002, Project Gotham Racing, and Dead or Alive 3; however, the failure of several first-party games (including Azurik: Rise of Perathia) damaged the initial public reputation of the Xbox. 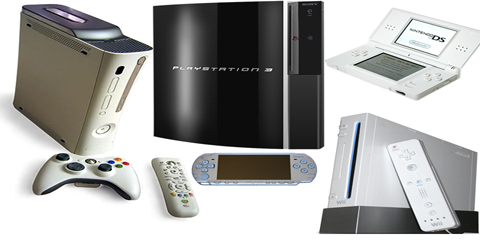 Although the console gained strong third party support from its inception, many early Xbox games did not fully use its powerful hardware, with few additional features or graphical improvements to distinguish them from the PS2 version, thus negating one of the Xbox’s main selling points. Additionally, Sony countered the Xbox for a short time by temporarily securing PlayStation 2 exclusives for highly anticipated games such as the Grand Theft Auto series and Metal Gear Solid 2: Sons of Liberty. In 2002 and 2003, several releases helped the Xbox to gain momentum and distinguish itself from the PS2. The Xbox Live online service was launched in late 2002 alongside pilot titles MotoGP, MechAssault and Tom Clancy’s Ghost Recon. Several best-selling and critically acclaimed titles for the Xbox were published, such as Tom Clancy’s Splinter Cell, Ninja Gaiden and LucasArts’ Star Wars: Knights of the Old Republic. Take-Two Interactive’s exclusivity deal with Sony was amended to allow Grand Theft Auto III and its sequels to be published on the Xbox. In addition, many other publishers got into the trend of releasing the Xbox version alongside the PS2 version, instead of delaying it for months. In 2004, Halo 2 set records as the highest-grossing release in entertainment history making over $125 million in its first day, as well as being a successful killer app for the online service. That year, Microsoft and Electronic Arts reached a deal that would see the latter’s popular titles enabled on Xbox Live. In August of 2008, Madden NFL 09 was released for the system, making it the last game made for the Xbox. On November 15, 2002, Microsoft launched its Xbox Live online gaming service, allowing subscribers to play online Xbox games with other subscribers all around the world and download new content for their games to the system’s hard drive. This online service works exclusively with a broadband Internet connection. Approximately 250,000 subscribers had signed up within two months of Xbox Live’s launch. In July 2004, Microsoft announced that Xbox Live had reached one million subscribers, and a year later, in July 2005, that membership had reached two million. More recently, in July 2007 the membership had reached over 3 million, making it a popular gaming service. * Modchip: installing a modchip inside the Xbox that bypasses the original BIOS, with a hacked BIOS to circumvent the security mechanisms. * TSOP flashing: reflashing the onboard BIOS chip with a hacked BIOS to circumvent the security mechanisms. The Xbox BIOS is contained on a commodity EEPROM (the ‘TSOP’), which can be made writable by the Xbox by bridging points on the motherboard. Flashing is usually carried out by using a specially crafted gamesave (see ‘Game save exploit’, below) to flash the onboard TSOP, but the TSOP can also be de-soldered and re-written in a standard EEPROM programmer. This method only works on 1.0 to 1.5 Xboxes, as later versions replace the commodity TSOP with an LPC ROM contained within a proprietary chip. * Softmods: installing additional software files to the Xbox hard drive, which exploit programming errors in the Dashboard to gain control of the system, and overwrite the in-memory copy of the BIOS. Soft modification is known to be safe for Xbox Live if the user enables multibooting with the Microsoft dashboard and an original game disc is used. o Game save exploit: using select official game releases to load game saves that exploit buffer overflows in the save game handling. When these special game saves are loaded, they access an interface with scripts for installing the necessary softmod files. Disassembly of the Xbox is not required when installing most game save exploits. o Hot swapping: using a computer to change the data on the hard drive. This requires having the Xbox unlock the hard drive when it is turned on, then swapping the powered hard drive into a running computer. By using a Linux-based Live CD, data on the hard drive can be read, altered, and deleted. In most cases, an automated script will automatically install the softmod files directly to the Xbox hard drive. This technique has been used extensively to harbor cheating on many online games. Disassembly of the console is required to perform a hot swap.